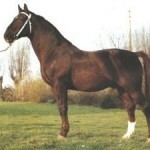 After he spend his fist 5 years as a successful racehorse this only 15.2 hh stallion became one of the best known Thoroughbreds in the Hanoverian horse breeding history. 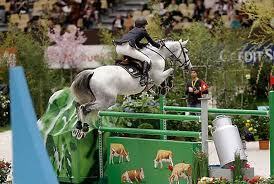 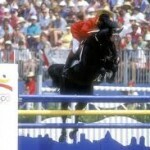 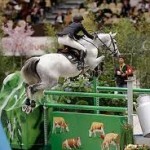 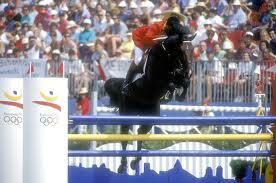 He sired several successful Dressage and Show jumping horses and had 6 licensed sons. 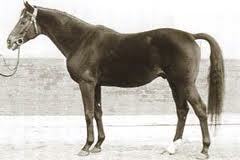 You can find the influence of Der Lowe also in the pedigree of such outstanding dressage stallions like Donnerhall . 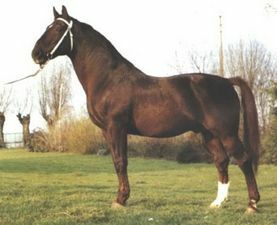 The most influential of his offspring was the Hanoverian stallion Lugano I who’s son Lugano van la Roche became the sire of the great Belgium stallion Darco (BWP by Lugano van la Roche x Codex- Cottage Son) .